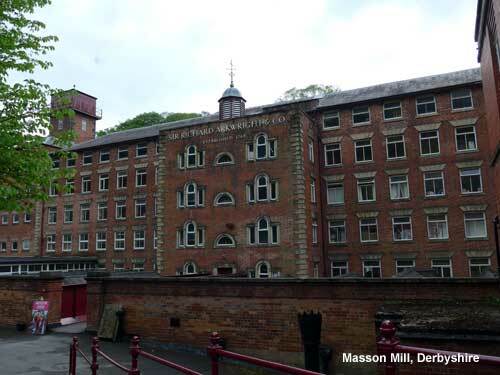 There are several mills in this area as part of the UNESCO World Heritage Site stretching along the Derwent Valley from Derby to Matlock Bath and covering silk as well the birth of the factory system using the technology of Sir Richard Arkwright in the 18th and 19th century. 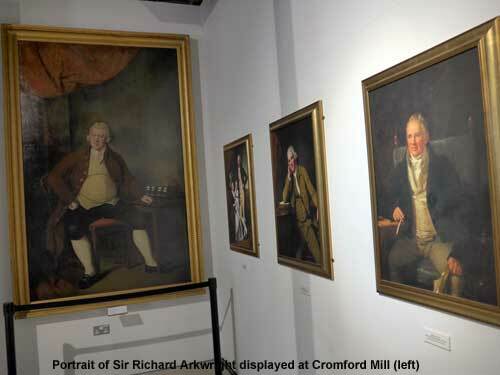 Sir Richard Arkwright was born in Preston and his early machine development occurred there, however there was strong opposition to the machinery and little powerful water so he took to this rural area in Derbyshire where he created the first full scale implementation of his ideas and became incredibly wealthy. 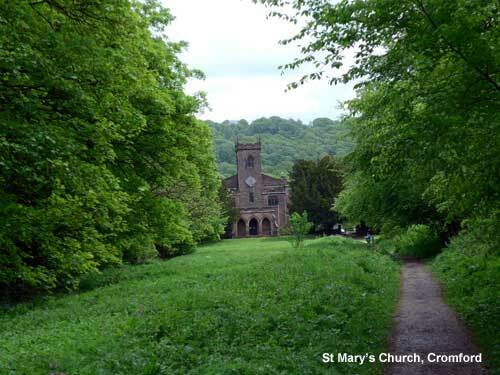 He built several factories and a huge home, Willersley Castle and its nearby church St Mary's. All the while he was battling to retain patent control and enforce licenses. Parking at Cromford Mill you can visit the cafe, shops and the Visitor Centre then walk via the church and along the river till reaching the road and walking to Masson. 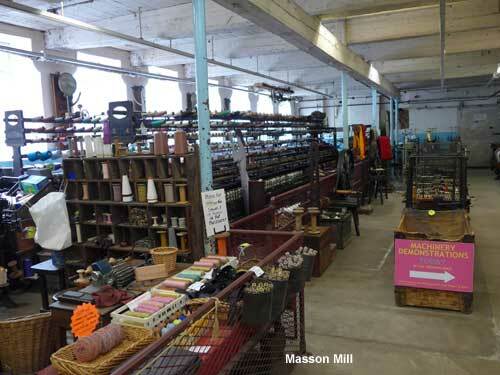 There you can find shops and a working demonstration mill with its own car park. 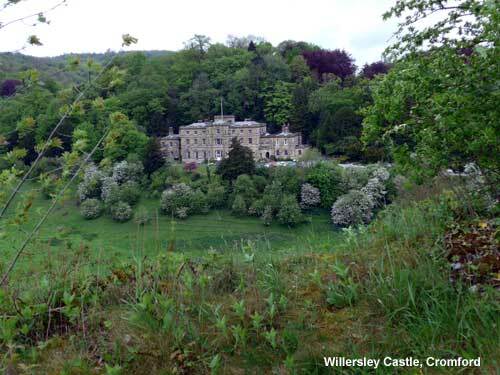 By climbing a rock outcrop at Cromford good view of Willersley Castle is possible. 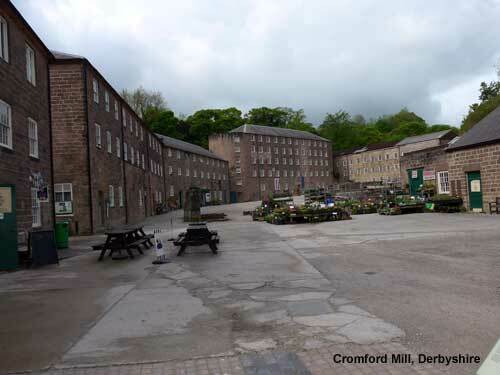 Cromford Mill was the first factory system mill, the buildings still exist with a Visitor Centre, cafe and displays. Walking appears to be popular from the location. Sir Richard Arkwright's home, although he died before it was finished. The castle is on a hill overlooking the church in the valley. Very pretty.